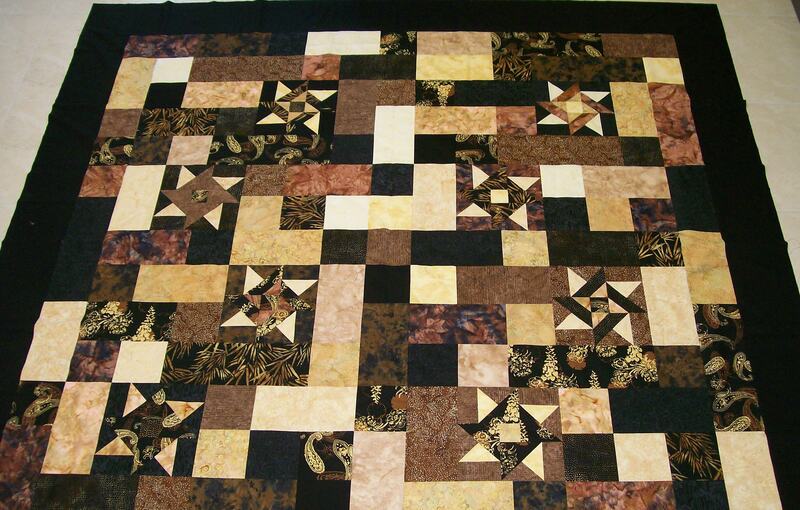 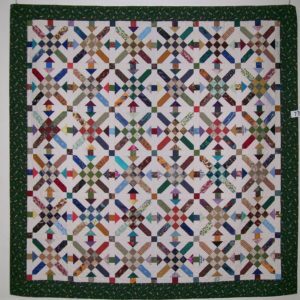 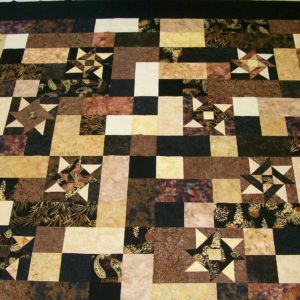 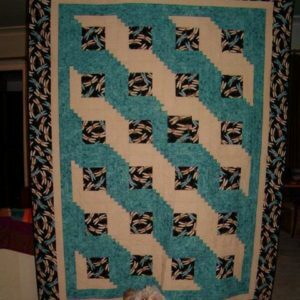 This quilt is a quick one to make, and features two star blocks. 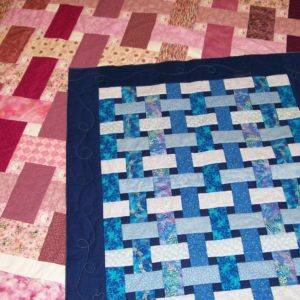 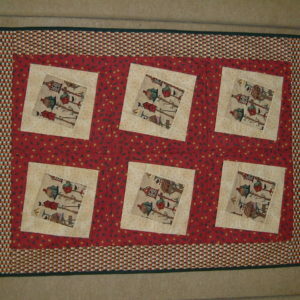 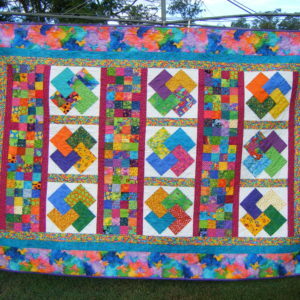 It has been made using strips cut 5 1/2″ wide. 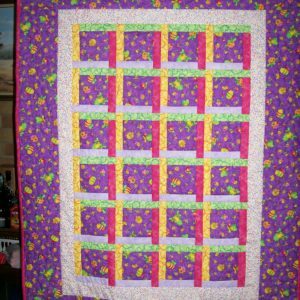 Some of these can be purchased in precut packs (swags – 20 strips per roll), or cut your own from your stash.